When Bob is warned he’ll be fired if the rose-givers sneak in again, his ten-year-old granddaughter, Briar Ann Wade, decides to find out who the perpetrators are and why they only come each fall. Briar discovers the answer to the mystery only to learn, as her grandpa says, grief and love take many forms…and there is healing in both. ​The Grave of Lainey Grace is absolutely beautiful. Aaron Galvin has brought the essence of being a child and caught between the whimsy of childhood and the sometimes cold reality of adulthood to life with a deft hand. 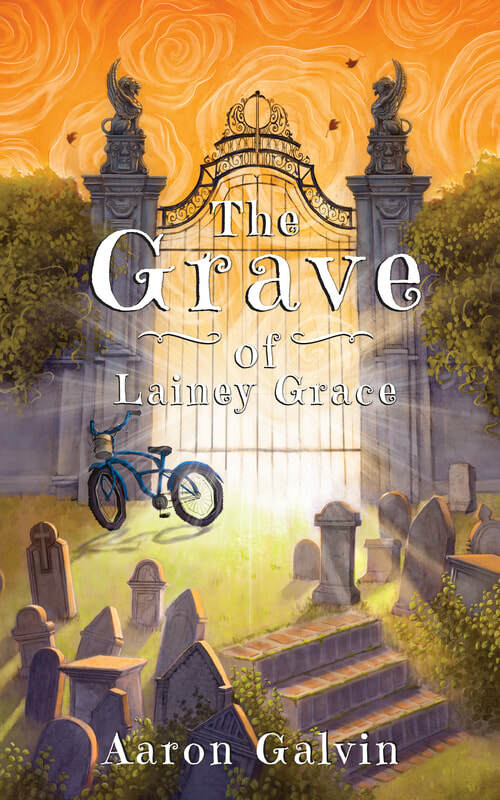 ​The Grave of Lainey Grace caught me unexpected. I started reading the book assuming to get a heartfelt coming of age story and yet I got more. What I read was something magical. Had to put these stars up here, so you know how amazing The Grave of Lainey Grace is, before even reading my review. As a child, magic never seems far away, and fairy tales and life intertwine in a way that we forget as an adult. Apparently Aaron Galvin never completely forgot, and for that reason alone I'll be picking up more of his books. Fans of The Chronicles of Narnia and Where the Wild Things Are will love this tale.